It's time to choose sides! 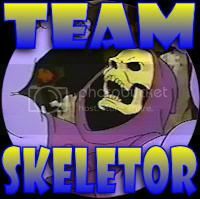 Are you Team Skeletor? 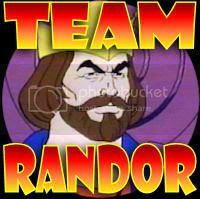 Or are you Team Randor? The time has come to choose a side! Are your with Randor, King of Eternia, and his heroic Masters of the Universe? Are you dedicated to protecting your kingdom, and the secrets of Castle Grayskull? Or, are you on the side of the Overlord of Evil himself, Skeletor? Have you pledged to join the Evil Warriors in their mission to overthrow King Randor and destroy the Masters? Now is the time to make your voice be heard! Choose a side! Grab a button! Place it on your signature on our forum, or any message board you visit. Add it as your image on Facebook. Tweet what side your on. It's time to let the world know! Need more information? Want to know who people are siding with? Then you need to check out this thread on our forums! We've started a revolution! Will you be a part of it?